Purchase the freshest produce at these farmers' markets in PA. Explore the best country markets in Pennsylvania. One of the Best Farmers Markets PA Has To Offer! 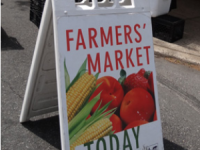 Open on Thursday, Friday, and Saturday mornings, the Allentown Fairgrounds Farmers Market serves the Allentown community the best in local produce, meats, cheeses, and other products, grown or made locally around Lehigh County. Why buy from the grocery store where your food could come from anywhere? The AFFM guarantees that the food you take home to your family is 100% locally grown. The difference is in the taste; you'll love the freshness and quality of whatever you find at the market - it's all under one roof. There's a reason they've been open so long, come try it out for yourself! Don't Miss Out on One of Pennsylvania's Best Farmers Markets! The Green Dragon has served the community for just about 80 years, allowing local farmers and craftsmen to sell their wares, produce, and sundry other items to an enthusiastic crowd looking for fresh products. 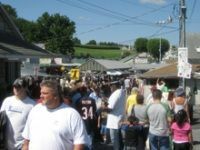 Every Friday morning Ephrata, Pennsylvania goes mad, the town turned inside out by its inhabitants and visitors making their way over to the market to beat one another out for prices and deals. This is one of the largest farmers markets you'll find around, with tons of free parking, excitement, and vendors eager to unload the best of what they have - don't miss out! 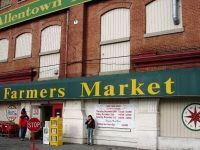 A Great Old Farmers Market in PA! After almost 150 years, the Market & Penn Street Farmer's Market is still going strong. 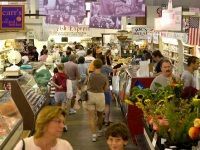 Located in York, Pennsylvania, the market has been the place for local growers and vendors to pass along their best products to the urban public since the 1860's, and new vendors are still always joining the community. You'll find everything you need in this covered market, whether you're looking for meats and cheeses, fresh produce, handmade goods, and more. Imagine yourself stalking the shelves of delicious foods, hunting for deals, stocking up for the week, and you can't help but want to give it a try. A Unique Farmers Market in Philly! The Reading Terminal Market brings fresh produce, locally grown or made products, and hometown-country feel to America's City Of Brotherly Love. Located in downtown Philly, the Reading Terminal Market has been going strong for over 100 years, and in that time has added to its list of vendors, eateries (from snacks to sushi bars), bakeries, specialty foods (like Middle Eastern, Indian, and Pretzels), homeware merchants, and more. This isn't just about potatoes anymore, it's a full country/city fusion experience that you don't want to miss. The Country's Oldest Continuing Farmer's Market! Billing itself as "the Country's Oldest Continuously Operating Farmer's Market," (the claim is well founded) the Lancaster Central Market is the place to meet an old friend, spend some cash, take in the unique atmosphere that pervades to this day from the market's founding in the 18th century, and, of course, pick up the best local produce and products from fresh bread to homemade cheeses and more. 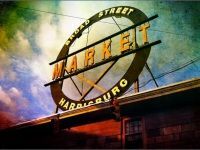 You won't be sorry you stopped by: take a walk down famous North Market street and experience a market like no other. Delicious Organic Market In the State's Capital! The place to find the best-tasting, organic, locally grown foods in Pennsylvania's capital is the Broad Street Market in Harrisburg. They aren't just a morning market; the vendors range from fresh donut makers, to wholesome produce providers, to purveyors of exotic kebabs and spices, organic delicatessens, and that's only a few. You can spend your whole morning (and afternoon) here without seeing even half of what the market has to offer, and each time you visit, you're sure to find something new to excite you. Why spend your hard earned cash at the supermarket, when there's a unique experience waiting for you? Among the Most Interesting Farmers Markets in PA! The Zerns Farmers market features an experience in wandering the stalls and seeing the various vendors that is every bit as exciting and unique as the thousands of products they have to offer. Zerns claims for itself over 88 years of service in the community, and over 400 vendors waiting to sell whatever they have (which, at Zerns ranges from produce, to clothes, to antiques, to local crafts, to meats, and fresh treats, and more) to the loyal and excited customer base. 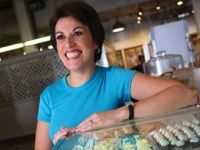 You can join the Zern's family at any time by popping down to see what all the buzz is about. This is certainly one of the most interesting farmers markets in Pennsylvania, if not the East Coast. 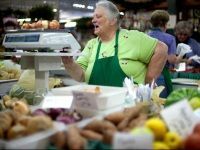 A Family-Friendly Country Market Over 60 Years in the Making! LeRoy J. Weist founded what would become the Leesport Farmers Market in 1947 to cattle at auction along with local wares. Today, the market has gotten substantially larger and more influential, and as it has grown to include more vendors of produce, cheeses, meats, and many fine crafts, has also become an integral part of the community in Leesport. Together with a flea market, and craft fairs, Leesport has cornered the market on locally produced goods, and has become a byword for quality and family-friendly fun. Stop on by to see what all the buzz is about, and enjoy the experience for yourself. Fresh Produce and Goods Straight From Central PA! The original West Shore Market was founded in the 50's, and the tradition continues today with a brand new, multi-level building housing over 50 vendors, all looking to sell the best fresh produce, meats, cheeses, fish, and other wares to a devoted crowd, some of whom have been visiting the market all their lives. Whether you're just visiting for the day, or the Market is already a tradition with you and your family, you can be sure that you'll find something to please your stomach, and your wallet. Drop by one of the best farmers markets in Central PA, and explore it for yourself. Wonderful PA Dutch Farmer's Market! You love Pennsylvania Farmer's Markets. You Love the Amish. 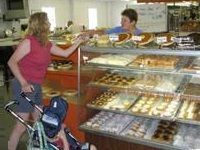 Now you can love them both at the same time by visiting Newtown Farmer's Market, a fantastic Pennsylvania Dutch market featuring farm fresh produce, tasty snacks like soft pretzels, a delicious bakery goods, country meats, quality hand-craftsmanship, and much more. 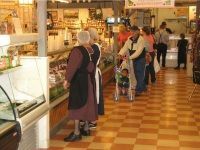 This market is 100% authentic, and so many in the surrounding neighborhood have already discovered the wonderful gifts the Pennsylvania Dutch have to offer the customer of discerning taste. Try the market for yourself, pick up something delicious, and enjoy a beautiful day at one of the best farmers markets in PA! Unique and Fresh Foods at this Philly Farmers Market! 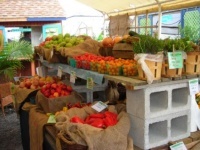 Enjoy the highest quality fresh-from-the-fields foods in this Philadelphia farmers market. 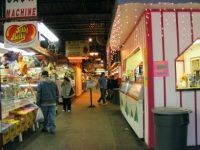 This historical farmers market in Philadelphia consists of a large variety of foods such as fresh meats, poultry, produce, baked goods, seafood and more. Throughout the market are also a variety of eclectic restaurants where you can enjoy a delicious meal. Other than food, this unique market also offers hand-made jewelry, pottery, and crafts from around the world. 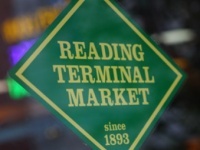 Located in the heart of Philadelphia, Reading Terminal Market hosts frequent events which are detailed on their website. Their hours are Monday through Saturday from 8:00am to 6:00pm and Sunday from 9:00am to 5:00pm. Fresh Foods and Plants at this Philly Farmers Market and Nursery! 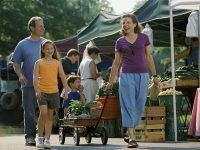 Find the largest variety of fresh foods, plants and flowers at this Philadelphia farmers market. Specializing in their delicious, fresh peaches, sweet corn and juicy tomatoes, this market contains a wide variety of greens and vegetables. Along with succeeding as a market and nursery, this farmers market in Philadelphia is also the creator of the Community Supported Agriculture model and a contributor to various community service projects. Fun and tasty events take place regualrly at this Philadelphia farmers market. The nursery is open on Monday through Friday from 9:00am to 6:00pm, Saturday from 9:00am to 5:00pm and Sunday from 10:00am to 4:00pm. The farm stand is open on Saturdays from 10:00am to 3:00pm. Year-round Fresh Meat and Produce at Fitler Square Farmers Market! Located in the heart of busy Philadelphia, Fitler Square farmers market is not only a relief from the hustle and bustle of the city, but also a haven for fresh and delicious food. Loaded with produce and meat brought directly from local farmers, this Philadelphia farmers market is the perfect Saturday afternoon destination. Fitler Square farmers market carriers a variety ofvegetables, fruits, honey, baked goods, and other various farm products. This farmers market in Philadelphia is operated by a non-profit, nutrition-promoting organization called The Food Trust, and is the host of various events held throughout the year. A top Philadelphia farmers market, Fitler Square's year-round operating hours are every Saturday from 10:00 am to 2:00 pm.